Unlocking Potential: Prisons- Solution to Crime or Part of the Problem? Prisons- Solution to Crime or Part of the Problem? “Prison can become a ripe place for criminal education, serious and organised crime, and radicalisation, rather than rehabilitation”. Not the words of the Howard League, or Prison Reform Trust but, surprising as it may be, of Chief Constables. 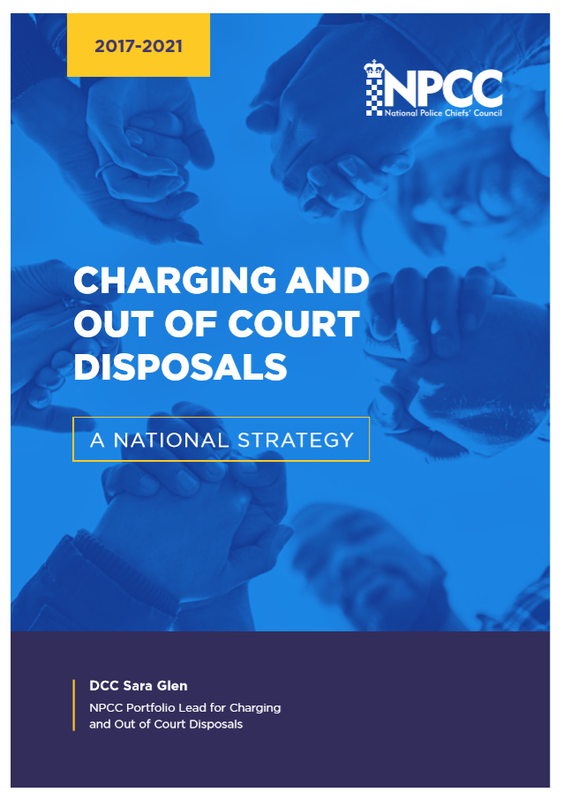 The National Police Chiefs Council’s (NPCC) latest strategy on charging and out of court disposals shows how positive interventions with offenders and victims can be effective alternatives to prosecution or even prison sentences. The Police are right of course. The surprise is only how long it’s taking for a consensus to emerge that the epidemic of drugs, violence and debt within prisons makes them part of the crime problem and seldom the solution to it. The NPCC strategy echoes much in Transform Justice’s 2017 report “Less is More” which highlighted the declining trend in the use of out of court disposals to deal with low level offending and made recommendations about how to reverse it. As the Police Chiefs say “anything which can be done to prevent reoffending and increase victim satisfaction is vitally important.” What they call "a whole systems approach" is needed to tackle the mental health, alcohol and drug problems which underpin so much offending behaviour. The case for diversion is arguably strengthened too by another round of court closures in the offing. Victims and offenders require speedy, local mechanisms for resolving low level incidents. And the police need to free up their investigative capacity to deal with the most serious harms and threats including terrorism, and sexual crime. The NPCC points out that there’s no new funding for rehabilitation courses or treatment programmes so forces will implement the strategy “when it is operationally and financially viable”. On resourcing, Transform Justice recommended a justice reinvestment approach which uses the savings diversion brings to police, prosecutors and courts to fund local programmes designed to further reduce crime and prevent offending. But some up front funds will be needed to kick start the process- from the Home Office, PCC's and MoJ. Reducing demand on the courts should form part of a wide ranging new approach to people in conflict with the law. The Sentencing Council should be recalibrating the going rate for certain offences to address the inflation in sentence length that has taken place in recent years. It’s both right and necessary that prison numbers are brought down. The Justice Committee has commenced an inquiry into the subject. New ministers at the Justice Department should do so as well, looking at all the levers at their disposal to make the system of criminal justice in England and Wales more effective and sustainable.